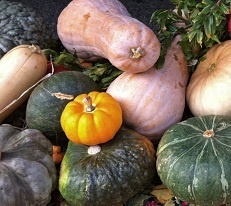 Want to eat fresh, seasonal, local food? 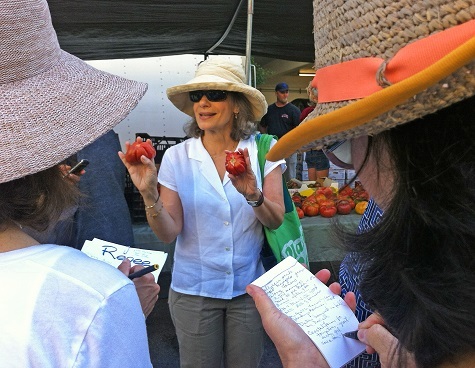 Then you’ll want to learn how to navigate farmers’ markets like a pro! 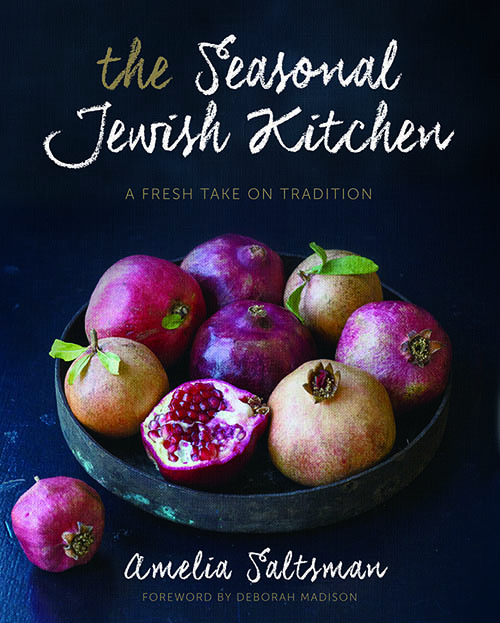 Take a tour of the Santa Monica Farmers’ Market with Amelia Saltsman, author of The Santa Monica Farmers’ Market Cookbook, Summer Entertaining e-book, and The Seasonal Jewish Kitchen, and frequent guest on KCRW’s Good Food. A tour is also the perfect gift for graduation, weddings, and Mother’s Day! 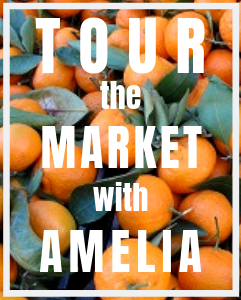 Due to popular demand, Amelia is now sharing her vast knowledge of the market with you. 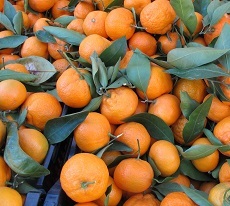 You’ll be guided through the Santa Monica Farmers’ Market, one of the largest and most important markets in the country. You’ll meet Amelia’s friends, farmers and chefs. Her insight, tips and expertise will give you the tools and skills needed to navigate your own local farmers’ market with ease. Do the choices at farmers’ markets overwhelm you, or do you not even go? Amelia will give you tips on what to buy and how to cook it, making your shopping trips fun, easy and anxiety-free. Kick off the May-June micro-season with Amelia’s May Day market tour. California strawberries and asparagus will be at their sweetest, and the market will be brimming with spring greens. How to source almost all your food needs–fruits, vegetables, meat, poultry and eggs–with confidence from local farmers. The benefits of buying produce in season, and how to substitute other varieties of fruits and vegetables for out-of-season favorites. How to let taste be your guide when choosing farmers’ market produce. The best way to shop the market for the week’s recipes and menu plans. How shopping at farmers’ markets can stretch your food dollar and make your meals healthier. 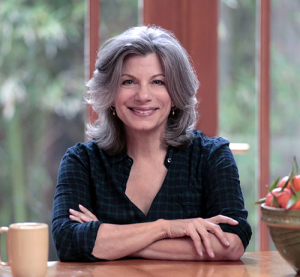 Read the Santa Monica Mirror’s story about Amelia’s tour, and see what Dale Franzen, founding director of the Broad Stage, said about her tour experience. The tour begins at 2nd & Arizona at 9:00 a.m. and ends at 10:30 a.m. Wear comfortable clothes—including shoes—and bring a large tote bag or wheeled cart. The tour will go on, drizzle or shine. In the event of pouring rain, we will make our best effort to give 24-hour cancellation notices. Participants will receive a full refund or offered an alternate date. You must book by Wednesday, April 24th. The price of the tour is $30 per person or $50 for 2 persons. 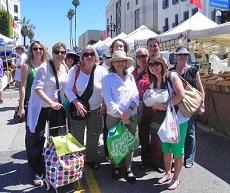 Or, $50 will buy you a tour for one plus a signed copy of The Santa Monica Farmers’ Market Cookbook. Payment is via PayPal below. You can pay with a credit card even if you don’t have a PayPal account. Cancellations must be made four days before the event (by Friday, April 26th) in order to receive a full refund. There is a minimum of 4 people and a maximum of 8 people per tour. Upon payment you’ll receive a confirmation email with all the details about the tour. Interested in booking a private tour for a special event? Click here to contact Amelia.